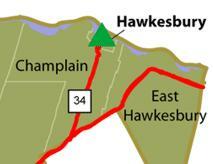 Township of Champlain Lower TierRecord Owner? Log in. Natural Resources Canada in Prescott and Russell United Counties. Have something to say about Township of Champlain Lower Tier?